Inside Rebel-Held Syria NPR's Kelly McEvers spent a week with anti-government rebels knows as the Free Syrian Army. The government holds the country's cities, but the rebels control considerable territory in rural area near the Turkish border. 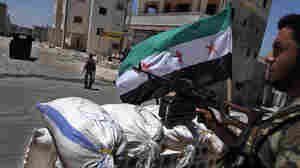 Anti-government forces known as the Free Syrian Army hold considerable rural territory near Turkey. July 26, 2012  Just like the Syrian government, the rebels in the town of Derat Azza are in the business of message control, depicting themselves in a sympathetic light. The rebels protect the remaining civilians. But if the rebels weren't there, would the government be targeting them in the first place? July 26, 2012  At least 100 people were killed in the village of Tremseh earlier this month. Activists called it a massacre of innocent civilians by government forces, but later reports suggested something different. After a week with rebel fighters, NPR's Kelly McEvers learned some previously untold details about the killing. 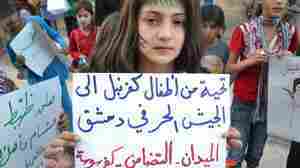 July 25, 2012  As the Syrian regime recedes, a new state is forming among villages controlled by rebels in northern Syria, filling in the blanks with their own hospitals, courts and other institutions. The goal is to provide better governance, not just aid to rebels. But is it better than before? 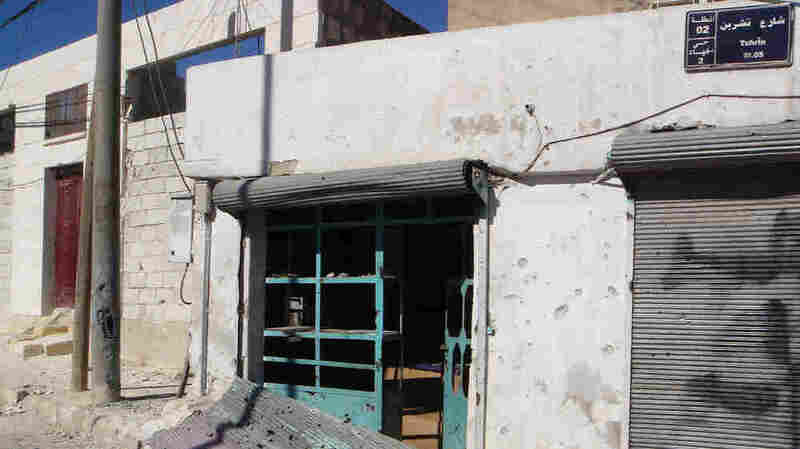 July 24, 2012  Much has been made about the rebel takeover of Syrian border towns in recent days. NPR's Kelly McEvers spent last week with anti-government rebels, in rural territory they hold near the Turkish border. The second part of her series on that trip begins in a town where fighting shows that while the rebels are gaining ground, the Syrian regime still has them outnumbered. July 23, 2012  While the Syrian government still has the upper hand in the country's largest cities, the rebels hold large swaths of territory in rural areas. NPR's Kelly McEvers recently returned from a week with the rebels inside Syria. Her first stop: a rebel way-station not far from the border with Turkey.